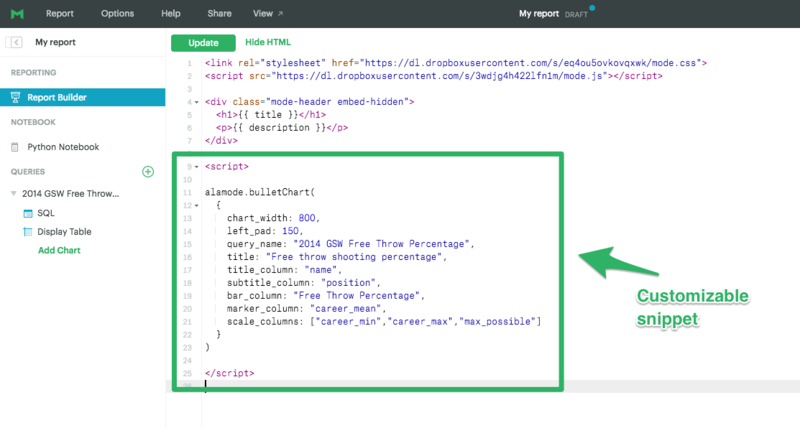 ​Once you’ve run your SQL queries, click into the Report Builder and select “Edit HTML” to open the HTML editor. 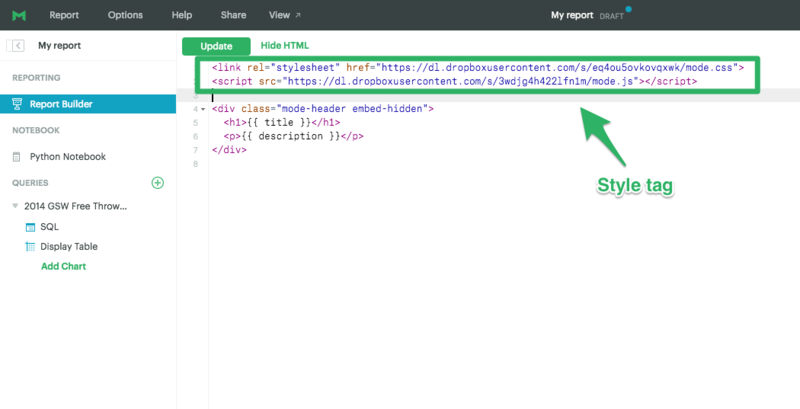 ​Click Update as you go to preview your work. Share new customization ideas and your projects with the Mode community by emailing hi@modeanalytics.com or submit a pull request to the alamode.js repo on Github.